The 17-4 stainless steel grade is an age-hardening martensitic alloy that combines high corrosion resistance and strength. Unlike conventional martensitic steels, it weldable by all standard methods, and achieves hardening with simple low-temperature treatment over a short period of time. 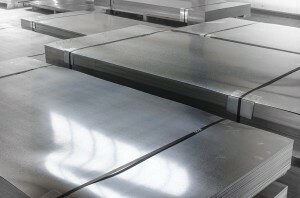 This product is a cost-effective replacement for high strength carbon steels as well as other stainless grades as it has a high strength and resistant to corrosion. Chromium 15%, Nickel 3%, Copper 3%, Manganese 1%, Silicon 1%, Columbium + Tantalum .45%, Carbon .07%, Phosphorus .04%, Sulfur .03%, Molybdenum .05%, Iron remainder. Corrosion Resistance: 17-4 stainless stands up excellently in a range of atmospheric environments even when exposed to corrosive elements. Heat Resistance: Continuous use of 17-4 above 590⁰C is not recommended. Temperature above can cause corrosive cracking. 550°C is the optimum tempering temperature in chloride media. Very high yield strength up to 1100-1300 MPa (160-190 ksi) can be achieved. The 17-4 can be applied to a range of applications including a variety of accessories and equipment such as gate valves, fasteners, food processing machinery, and aircraft structures. contact us today for a quote on any of your custom size orders.